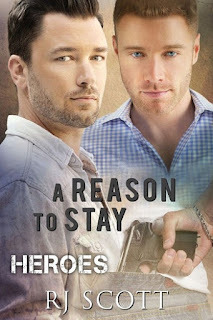 This is the second book in the series – and I definitely recommend reading A Reason to Stay first, because it is also a very good read and has an equally good mystery tied into the romance. This is a really good, fast-paced, exciting, and dramatic novel, with a very hot romance thrown in for good measure. I loved how Sam (who we met in the first book) has refused to let his past define him, yet cannot quite get passed it either. His plan to thank the Marines who saved him unfortunately coincides with them facing a great danger from 'them.' And as Mac points out 'they' could be anyone – which sets up the story, and the fight to survive and resolve the situation, so that they might just have a future. The intrigue, the restoring of relationships, the building of new ones, and the potential for more makes for compelling reading – and a rather wonderful ending. It was great to catch up with some news from Viktor and Aiden, and to meet Deacon, who must be the centre of the soon to be released sequel, as its title is Deacon's Law. I can't wait for it to hit my Kindle! This is an exciting read with two fantastic main characters. Mac and Sam first met when Mac’s team of Marines rescued 14-year-old Sam from kidnappers in Japan. More than a decade later, Sam’s attempts to track down his rescuers throw him into the middle of a terrifying plot to eliminate Mac and his team. I found Mac much easier to like than Viktor in the first book. He’s a little bit more human and while he has a similar skill set, he comes across as a kind and loyal man. But it was Sam who won my heart. Having survived torture as a teenager and a difficult childhood with a powerful father, Sam pushed past his injuries and became a park ranger. I love his resilience and his strength of character. The action in this story is fantastic. Sam and Mac work together to evade the person killing Mac’s teammates. There are powerful political forces attempting to eliminate Mac’s team and the race to expose the plot before the last teammates die is a thrilling read. I’m really enjoying this series. I loved the action in the first book, but I was able to enjoy the romance as much as the action in this second one. I look forward to the next book! This is a great second addition to this series. I really liked seeing how the relationship from the previous book has developed and it was great to see the stories intertwine. This book has a lot going on. You start several years ago and what you witness is both heartbreaking and heartwarming. Sam is young and a victim, Mac is Sam's savior. Mac is part of a team and they rescued Sam and his sister, Jo. It was a complex situation with a lot of emotions. Several years later, Sam seeks out Mac again and tries to figure out where all of the men were who had rescued him. The relationship is organic, and while there were a lot of factors that brought Sam and Mac together, it's what they did under the circumstances that really creates their bond. I don't want to write too much, because it would give away all of the fun bits in the story, but let's just say that Sam and Mac have to decide what's important. 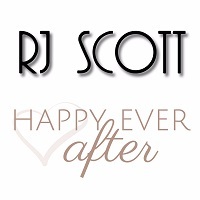 Can they truly outrun their own pasts and look to a future together? I can't wait for Deacon's story and I am very much looking forward to it. 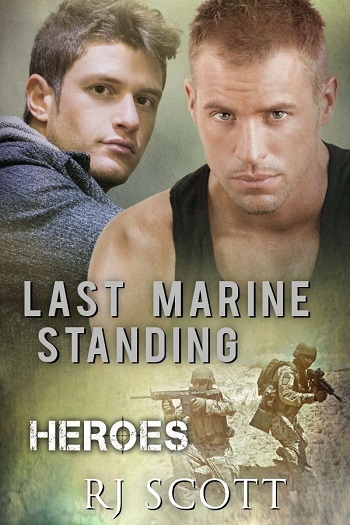 Reviewers on the Wicked Reads Review Team were provided a free copy of Last Marine Standing (Heroes #2) by RJ Scott to read and review.